If you have never seen the full glory of autumn color, then I highly recommend a cruise through the Atlantic Provinces and Québec during the period between mid September and the end of October. For those who live in the United States or Canada, this is a cruise that both gives you much of the flavor of France, England and Scotland without traveling across The Pond” before getting to the ship to begin your cruise. 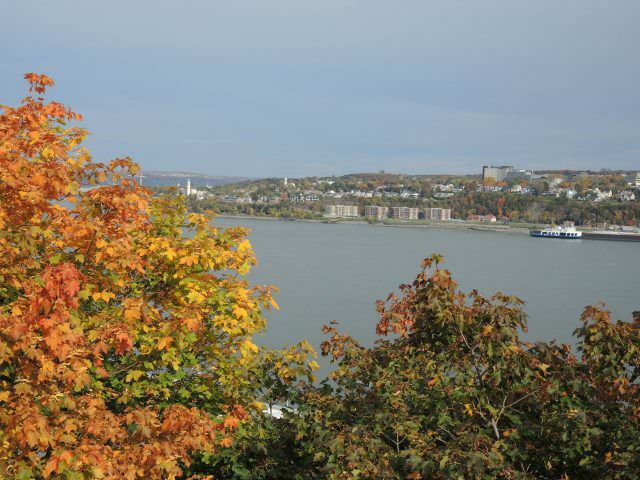 And the highlight of the cruise apart from the magnificence of the colors is the chance to absorb the atmosphere that is Québec. Often spoken of as French North America, it is unique among regions on this continent. And for those who do come across from Europe or elsewhere in the world, this is both physically and culturally an experience that will leave lasting memories. 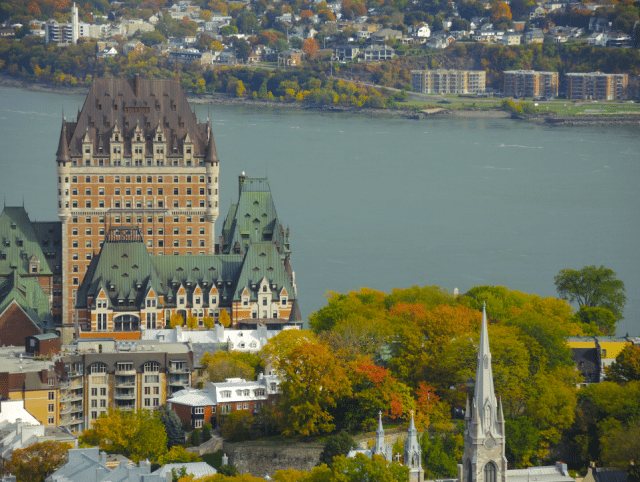 No part of Canada is as distinct as Québec, the heartland of French culture. It is the country’s largest province in area, covering over 595,391 square miles, making it almost as large as Alaska. Most of the people, who number 8,214,000, live in the southern margin, as the interior and far north comprise a part of the Canadian Shield and Arctic Slope. Québec is vast, with extensive coniferous forests, hundreds of thousands of lakes and major rivers that radiate out from its rocky interior. The St. Lawrence River valley is the cultural core of the province for it was here that French colonists first settled in 1608. North of the river are the Laurentian Mountains, an ancient uplifted range whose origin dates back over 500 million years. Across the border in upstate New York, the Adirondack Mountains are part of the same geological complex as the Laurentian Mountains even though most Americans think that they are a part of the Appalachian system. In both the Laurentian and Adirondack ranges the forests are a mix of conifers and broad leaf trees that loose their leaves in autumn after putting on one of the most brilliant and dazzling displays of fall color anywhere in the world. There is only one word for the spectacle and that is breathtaking. South of the river, the Appalachian Mountains touch on the province, also exhibiting mixed forests that are magnificent in the autumn months. This region saw a mix of French settlers and some “Yankees” who moved into the region prior to the 1814 drawing of the final border with the United States, thus English is spoken in many towns of what the Québécois call the Eastern Townships. The first impression that all visitors to Québec have is the lack of a visual presence of English. All signs are written in French. If English is present, the lettering on a sign is three times smaller than the corresponding French lettering, and the English is always below the French. This simply means that if you are an English-speaking merchant, you may only have English showing on the outside of your business if the corresponding French letters are three times larger, and this is by law. There are inspectors, dubbed the “language police,” who are authorized to come around with measuring sticks, and if you have not conformed to the law, you will be fined. Not even in France is there such a strict mandate as to the dominance of one language over the other. Official street or highway markers are in French only, nor are any instructional maps or signs in urban transit stations written in English. Apart from seeing the total dominance of French, it is also the language you primarily hear spoken everywhere. There are English-speaking residents in the province, but in everyday commerce they normally use French. Even as a visitor, it is essential to have a working knowledge of the language as people are somewhat reluctant to use English outside of the larger hotels and federal government offices. But be comforted, people here are not as “hostile” to the sound of English as many visitors complain when they visit France. The other distinct visual impression is the architecture. Beautiful churches in stone with sharp, white steeples dominate urban and rural skylines. Government buildings and hotels are constructed in a French provincial style with steeply pitched copper roofs pierced by dormer windows. The Chateau Frontenac in Québec City provides a classic example of majestic French chateau type of architecture seen in the most major hotels and some public buildings. In older private homes and businesses, the use of sloped mansard roofs with dormer windows is a distinctly French architectural accent, as are wrought iron balconies and curved iron staircases. There is an unmistakable French quality to buildings throughout the province, and this is part of its visual charm. Most Québecois live adjacent to the St. Lawrence River. The agricultural lowlands are dotted with numerous small villages, and the distinct long lot farm system of colonial days is still seen in that field plots are oriented to local rivers and are linear, extending back from the water’s edge. In the southern Appalachian hills, or in the Laurentian Mountain edge of the Canadian Shield, there are thick mixed forests, numerous lakes and small communities more oriented toward summer tourism or winter skiing. Vast groves of maple trees provide another important industry – that of maple syrup, which is a provincial staple. It is not only a significant export, but maple syrup replaced sugar in the colonial era and many recipes were altered or created to make use of this sweet tree sap in place of granulated sugar. It is a beloved part of the cuisine of Québec. In the ports of call you visit, you will find vendors selling maple syrup, excellent preserves and honey, all making great souvenirs to carry home. 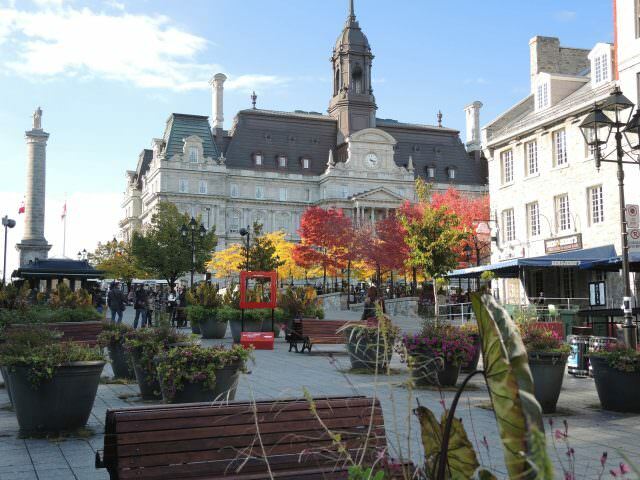 This is the second city of the province in size, but it is both the cultural heart of Québecois life as well as being the provincial capital. No city in Canada has a flavor like Ville de Québec. Perched atop a steep set of cliffs, and radiating out from The Citadel and the old walled city, this is a very magical place. It has more the flavor of France than of North America. Many of the buildings inside the old walls date back to the early 1600’s, while the newer city possesses its share of high-rise office, apartment and condominium towers, yet interspersed with buildings that date from the mid 1700’s through the Victorian Era. 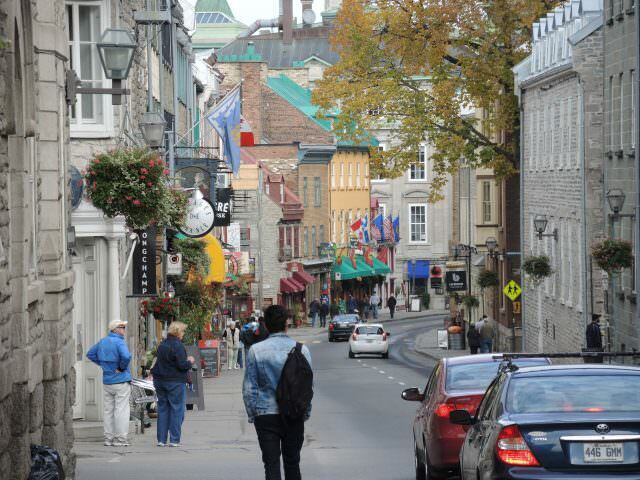 The lower city, along the margins of the St. Lawrence River contains the oldest buildings in all of Canada, and its here that cruise ships dock, often within walking distance of the Funicular, that inclined railway that takes you to the Upper City. Île d’Orleans – A rural island in the St. Lawrence River noted for its small, traditional villages, beautiful old churches and exceptionally delicious food served in small auberges. And its fall colors have no equal. Montmorency Falls – A thundering waterfall where the Montmorency River plunges over a steep cliff before entering the St. Lawrence River. This is the second largest city in Canada and the second largest French-speaking city in the world with a metropolitan population of 4,027,000. There is a quality to Montréal that lends this city a grace and elegance unlike any other city in the Western Hemisphere. 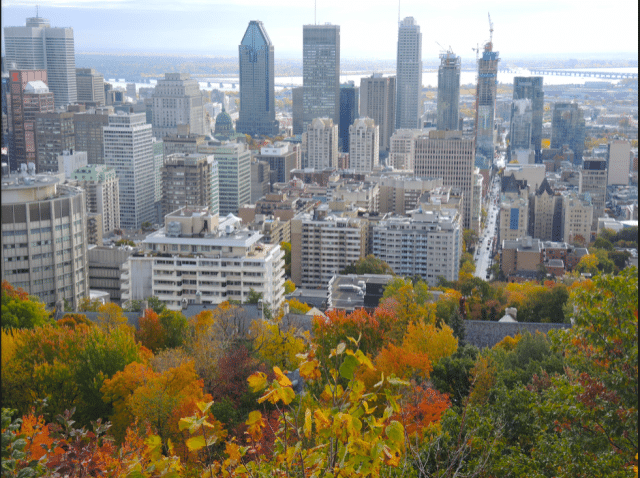 Prior to the rapid growth of Toronto in the 1970’s, Canadians referred to Montréal as “The Metropolis.” There was a favorite Québécois joke that was told for years about the two cities. According to the joke, “A Montréal radio station was holding a contest for which the first prize was a one-week vacation in Toronto. Guess what the second prize was? It was a two-week vacation in Toronto.” Today this joke is no longer told because even Montréal residents recognize that Toronto has captured the glory of being Canada’s great metropolis, but Montréal has not lost its own sense of style and glamour. 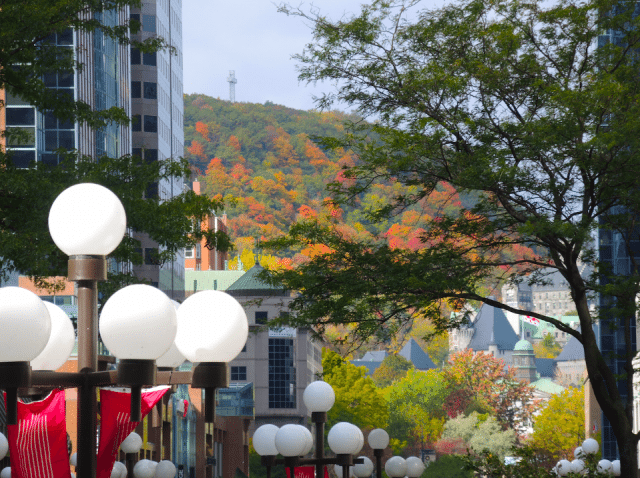 The Province of Québec when enjoyed as part of an autumn colors cruise is the highlight of the entire itinerary, especially the great urban centers of Québec City and Montréal, two charming and flavorful cities that are unlike any others in the Western Hemisphere.